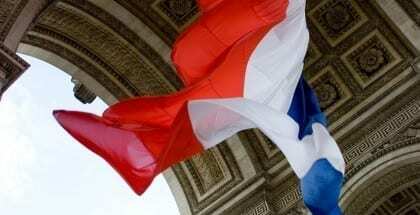 According to a recent opinion poll, 60% of people in France support the idea of a Basic Income. The survey was sponsored by national television channel i-télé, and the liberal think tank Génération Libre [Free Generation], as part of a survey focusing on ‘Liberalism and French people’. 16% said they were “absolutely in favour” of the concept, while 44% were “somewhat in favour”. Although there is stronger support for Basic Income among left-wing citizens, the poll shows a majority in favour on all sides of the political spectrum. The survey was released while the French Movement for Basic Income was holding a major conference at the French Senate (the upper house of Parliament), where several MPs and former minister Delphine Batho expressed their interest in the idea. The last and first opinion poll in France about Basic Income was released in 2012, and showed 45% of the French were in favour of the idea. They mean including health care & pensions? That’s so right-wingish… Basic income needs to be defined precisely when asking people. Survey like these are too vague, and so are probably not very helpful. Imagine getting only 500€ per month per adult, and in exchange no more child benefits, no more socialized healthcare, no more unemployment benefits? Clearly not ideal, if useful at all, but it fits perfectly the wording of the poll. Now if everybody was getting something like 1500€, which is enough to live (perhaps not in central Paris…), then we could do away with child benefits and the horror that Pôle Emploi is.